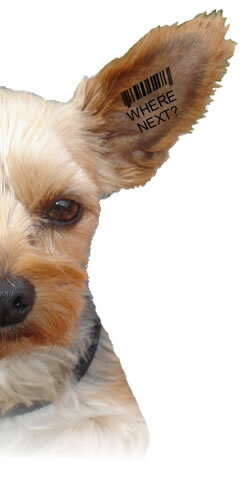 In 2009, 5-year-old Yorkshire terrier Scotty developed a malignant lymphoma between his shoulder blades, in the same location where a microchip had been implanted. A tumor the size of a small balloon was removed. Scotty's microchip was embedded inside the tumor. Scotty was given only a year to live. His owner, Linda Hawkins said the vet was skeptical that a chip implant could cause cancer. But in Scotty's December pathology report the doctor wrote: "I was previously suspicious of a prior unrelated injection site reaction" beneath the tumor. "However, it is possible that this inflammation is associated with other foreign debris, possibly from the microchip." The doctor said the chip was coated with a translucent material to keep the microchips from moving around the body. "This coating could be the material inciting the inflammatory response," he wrote. A national pet recovery and identification network asked a vet to review the pathology report and their conclusion was that the chip was not the cause of the tumor. However, Hawkins said the company sent her a $300 check to pay for medical expenses. Hawkins reported spending $4,000 on medical treatment for Scotty since December 2009. "Scotty is just a baby," she said. "He won't live the 15 years he's supposed to … I did something I thought a responsible pet owner should – microchip your pet – and to think that it killed him … It just breaks your heart." Scotty passed away on his 6th birthday, he fought a good and hard fight but one he just couldn't win.